IRVINE, Calif., May 7, 2018—CoreLogic® (NYSE: CLGX), a leading global property information, analytics and data-enabled solutions provider, today announced an agreement with Homes.com to offer consumer-facing real estate websites to its multiple listing clients. Homes.com is a top real estate technology provider with vast experience in consumer search. Organizations taking advantage of this offer can easily deploy a powerful search solution that simplifies consumer access to real estate listings. Under the agreement, CoreLogic will begin offering the Homes.com Fusion Portal product, a public website platform for multiple listing organizations to CoreLogic clients. Consumer-facing websites follow fair display guidelines, clearly identifying the listing broker and agent on properties for sale. For more information about the Homes.com Fusion Portal, visit CoreLogic at booth #615 at the REALTORS® Legislative Meeting & Trade Expo, May 16-17, in Washington, D.C.
Homes.com is a top real estate search destination, visited by close to 14 million consumers each month. Homes.com leverages search visibility to connect this in-market audience with real estate professionals in their local areas of interest. Homes.com offers the following real estate marketing and media services: brand advertising, property listing branding and exposure, websites and search engine marketing, and instant response lead generation to help real estate agents and other real estate related partners succeed online. For more information, visit www.Homes.com. 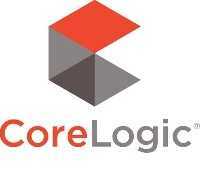 em>CORELOGIC and the CoreLogic logo are trademarks of CoreLogic, Inc. and/or its subsidiaries. All other trademarks are the property of their respective owners.